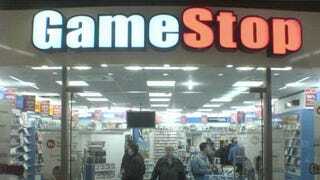 Years ago GameStop gave up on classic gaming. They liquidated their catalog of NES, Super Nintendo, N64, PlayStation and Dreamcast games and I was left scouring flea markets for my retro gaming fix. Now the chain says they’re bringing old games back, but they’re being kind of weird about it. According to a report from IGN, the new plan is to test classic game and console trade-ins in select markets (NYC and Birmingham to be specific), but only offer them for sale on the company’s website. Apparently some items will be available at local stores too, but won’t be on the shelf—buyers will have to order them with the “pick up at store” option on the GameStop website. Yes, that’s totally bizarre sounding—we’ve reached out to GameStop for clarification. Retro trade-ins for NES, Super NES, Sega Genesis, Playstation, N64, and Dreamcast products (for the test markets, at least) start on April 25th. Games won’t be available for purchase until those trade-ins make it through GameStop’s refurbishment center, but the program could be a godsend for classic gamers who don’t have a good independent game shop in their area.